Amid Russia probe and North Korea maneuvering, could a Trump-Kim deal leave Japan in the lurch? Will “America First” leave Japan in the lurch? As a second summit between U.S. President Donald Trump and North Korean leader Kim Jong Un looms, and as the American president grapples with an all-consuming Russia probe, fears are growing that Trump’s next move could put Tokyo in a bind. 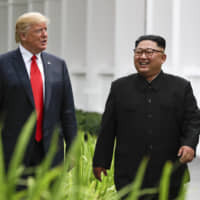 “I think there’s a very a high chance — maybe more than 50 percent — that, if Trump meets Kim again, there will be a deal that sells out allies,” said Van Jackson, a former Pentagon official and North Korea expert who teaches at Victoria University of Wellington in New Zealand. Trump has touted his dealings with Kim as his administration’s signature foreign policy achievement, frequently pointing to the lack of nuclear tests by the North and the absence of missiles being shot over Japan — part of an informal moratorium by Pyongyang on atomic or longer-range missile tests. 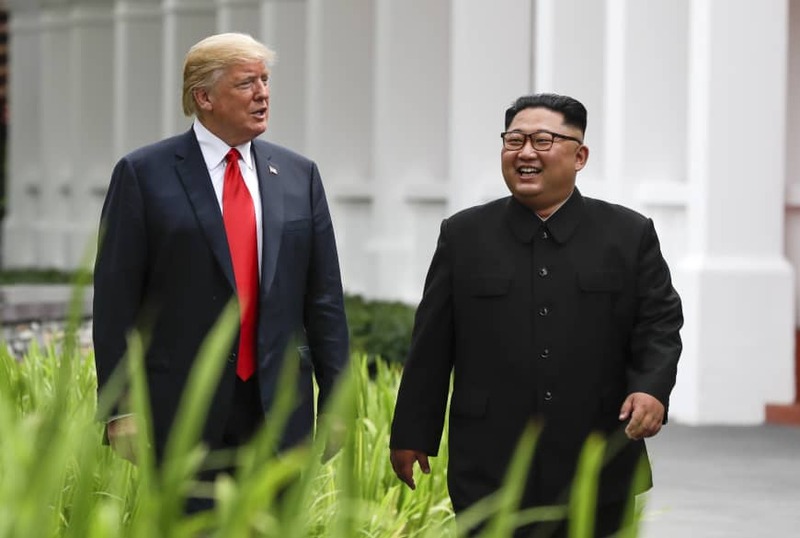 Now, with the White House mired in what is expected to be a punishing year for the president as the probe into alleged Russia interference in the 2016 election gains steam, Trump could look to North Korea for a much-needed victory. For Trump, such a victory could involve the U.S. signing off on the easing of crippling sanctions on the North in exchange for Pyongyang capping or curbing intercontinental ballistic missiles believed capable of striking much of the United States, while permitting it to keep some level short- and midrange missiles that could hit Japan, including the estimated 200 to 300 medium-range Nodong missiles it possesses. Those missiles can fly about 1,300 km (800 miles). “I absolutely think the Japanese and other U.S. allies are right to be concerned that the Trump administration will try and cut a deal with Pyongyang to cap ICBM-related activities but leave the nuclear and other missile programs untouched,” said O’Neil. Such a move, while adhering to Trump’s “America First” mantra, would almost assuredly have devastating implications for the U.S. alliance with Japan. On the surface, the White House has repeatedly said it stands by Tokyo in pushing the need for Pyongyang to abandon all weapons of mass destruction and ballistic missile programs, though recent comments by top officials suggest a softening of this view. These include remarks Friday by U.S. Secretary of State Mike Pompeo on talks with North Korea that focused on Pyongyang’s threat to the United States. These signals have combined with Trump’s long-standing disdain for U.S. alliances across the globe, a stance that has consistently stoked worry in friendly capitals since his 2016 election, creating a toxic combination that regional security observers say could ultimately lead to allies “decoupling,” where a nuclear-armed adversary can separate a security guarantor from its ally. According to Jackson, whose book “On the Brink: Trump, Kim, and the Threat of Nuclear War” focuses on the nuclear crisis of 2017, Trump’s apparent willingness to renege on alliance commitments likely makes sense in the president’s own mind. Ultimately, a missile cap, if at all even verifiable considering the North’s clandestine sites and long history of doubling back on its commitments, might buy Washington some time and temporarily slow down the Kim regime’s pursuit of weapons aimed at the U.S., but it could also invite even bigger, global problems. These could include diminished U.S. credibility and the possibility of Seoul and Tokyo seeking their own nuclear weapons to protect themselves — a move that would assuredly rattle China and set the stage for a nuclear arms race in Northeast Asia. Alternatively, a Trump cornered by the Russia probe and a recalcitrant North Korea could return to his “fire and fury” position that brought the U.S. to the brink of war in 2017. “Pressures from the Russia probe could lead him to renew a hard line on North Korea, or to show a diplomatic victory and statesmanship,” said Jackson. “I think Trump doesn’t personally care about the North Korea situation at all. He simply wants to distract from domestic political problems.